the field of OculoFacial Plastic and Reconstructive Surgery at Albany Medical Center. Here he learned the finer points of cosmetic eyelid surgery, cosmetic injections, and the intricate use of aesthetic lasers to rejuvenate his patients and make them feel great. After completion of this fellowship with Outstanding Merit, he moved to his home state of New Jersey where he joined Associated Eye Physicians & Surgeons of NJ. Here he has served as Chief of OculoFacial Plastic & Reconstructive Surgery for 14 years. During this decade of priceless experience, he has treated tens of thousands of satisfied patients and performed thousands of major ophthalmic and oculoplastic surgeries with success. Additionally, he has held academic appointments for St. Barnabas Medical Center/Union Hospital and the Hoboken University Medical Center. He currently operates at St. Barnabas Medical Center, Essex Specialized Surgical Center, Carepoint Hoboken University Medical Center, and River Drive Surgical Center. During his initial 7 years in practice, he extensively researched and developed a plan to build a comprehensive cosmetic center that would address all of his aesthetic patient’s needs. He developed a specialized expertise in Botox®, Dysport, and Xeomin injections followed by wrinkle filler/liquid-facelifting injections, including Restylane®, Juvederm®, Voluma, Belotero, Radiesse® and Restylane Lyft (formally Perlane). Dr Khan also has expertise in the Viafill Autologous Fat Injection and Selphyl PRP (Platelet Rich Plasma) techniques for excellent natural results. In 2007, the same year he obtained his status as Fellow of the American College of Surgeons (FACS), he founded Edgewater Cosmetic & Laser Center to offer the very finest in cosmetic injections and laser treatments. In addition to the cosmetic injections, he offers the very best laser technologies available, including the Focus Medical Naturlite Intense Pulsed Light (IPL) and Naturlase LP Laser. With overwhelming demand for his aesthetic services and excellent VIP care, he successfully added more cosmetic injection and laser treatments over the ensuing years and opened a second cosmetic and laser center in Hoboken, New Jersey. The Medical Director and Chief Laser and Injection Specialist, Dr. T.G. Khan remains motivated to offer his clients the very finest in aesthetic care by staying abreast on cutting-edge technologies, such as SmartXide DOT Laser treatment for CO2 laser skin resurfacing and the Focus Medical QS4Max for laser tattoo removal. He attends a minimum of 30 hours of Plastic Surgery Continuing Medical Education (CME) courses per year. 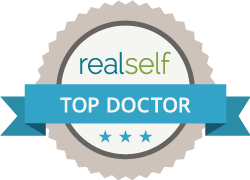 With so many injections and laser treatment available on the market today, Dr. T.G. Khan makes sure it is safe and effective for you before it becomes a part of his professional repertoire of aesthetic services at Edgewater and Hoboken Cosmetic & Laser Centers. He is a warm and caring physician, takes pride in providing you with the very best services in the aesthetic industry, and welcomes the opportunity to offer you his finest care. Through her practice as a Dermatology Physician Assistant (PA), Nicole found her passion to be in facial aesthetics. She has significant advanced training in her speciality of non-surgical cosmetic procedures such as dermal fillers, neurotoxins, and chemical peels. Nicole has a long standing reputation for natural results and combines her signature techniques that are virtually painless with minimal down time, great results, and happy patients! She finds her work extremely rewarding by spending her valuble time educating patients and helping them to look their best. As an expert injector, Nicole has vast experience with all the various dermal fillers and neuromodulators, including Botox, Xeomin, Dysport, Belotero, Restylane, Juvederm and Restylane Lyft (formally Perlane), and more. She is recognized in the industry by the hundreds of doctors, PA’s and nurses she has trained in the tri-state area. Nicole is certified by the National Board of Medical Examiners, is licensed in both in New York and New Jersey, and is a Fellow of the Society of Dermatology Physician Assistants. She welcomes the opportunity to offer you her finest expert care.